Marianne Evelyn Gabriel Faithfull was born December 29, 1946 in Hampstead, London, England. Faithfull began her singing career in 1964, landing her first gigs as a folk music performer in coffeehouses. Probably best known for her highly publicized romantic link to Mick Jagger. Involved in a major drug scandal with Jagger, Richards and others, which ultimately turned public opinion favorably towards the 'Rolling Stones' and other rock groups. In the 70's she became addicted to heroin and was homeless in London's Soho district for a couple of years. 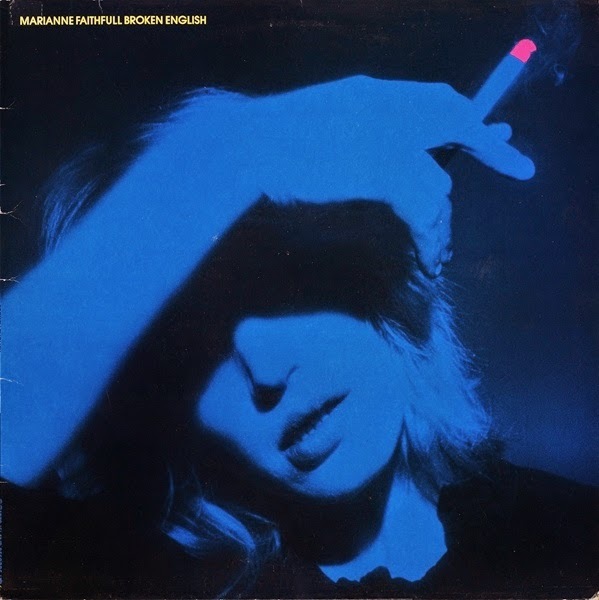 In October 1979 released her album "Broken English" which marked Faithfull's musical rebirth. Her voice was different now, one that had been roughed up by time and hard living. And it was emotionally expressive and captivating. The album, which incorporated elements of punk with modern dance music, earned her widespread praise. "Broken English" made #57 in the UK album charts and #82 in the US.